☆ Fill in the form below, and we'll get back to you within 24 hours. 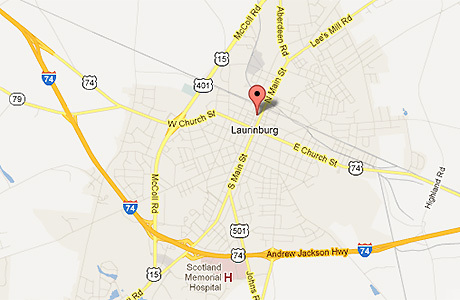 Laurinburg, NC ... a three times All American City, and home of St Andrews University. Laurinburg is located 100 miles from Charlotte on US 74, and 28 miles south of Pinehurst on US 15-501, and 40 miles from Fayetteville on US 401. Located in downtown Laurinburg at 121 Fairley Street, just off Main Street beside the Southeastern Storytelling Center, our store is adjacent to Mc Nair's Town and Country Hardware. ☆ Click here to view larger map and get directions via Google Maps.